These 2017 World Championships in Colorado Springs (USA) will remain in memory by many fans, coaches and skaters. The full stadium, the smell of the candies and the popcorns, but also the sometimes controversial podium and the ever higher performances of the teams will mark this competition. Edito. Colorado Springs, this rocky stretch from which snow-capped peaks rise. The 18th edition of the World Championships took place last weekend in the middle of the United States. 24 teams from 19 nations were represented. They skated for one goal: win the gold. The first surprise came from Team Paradise, who showed up on Friday night with short programs with 15 skaters, instead of 16. Then the 2016 champions did it again the next day with an impressive performance. 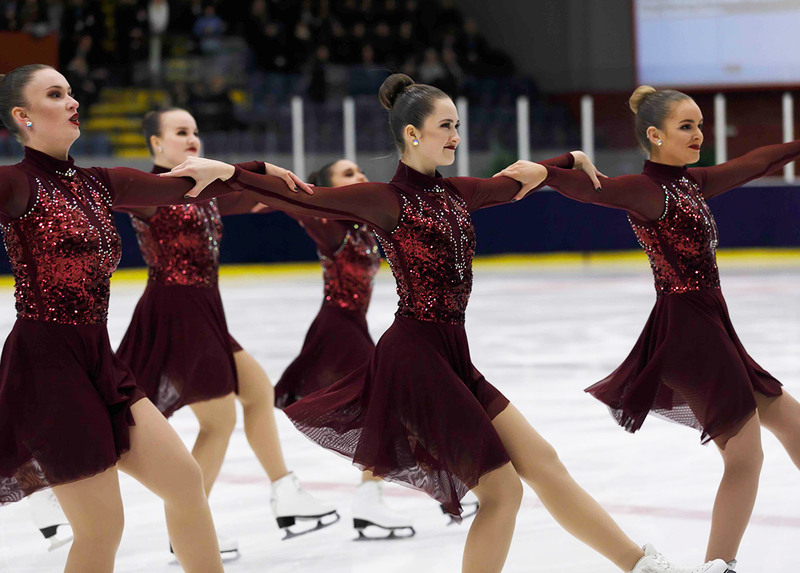 The free program was executed with an incredible precision. It seems like this program was built for 15. However, even with three lifts instead of four, the Russians maintained their supremacy by winning gold ... 0.12 in front of the Finnish Marigold Ice Unity. Marigold Ice Unity has delivered two very beautiful programs, full of emotions. 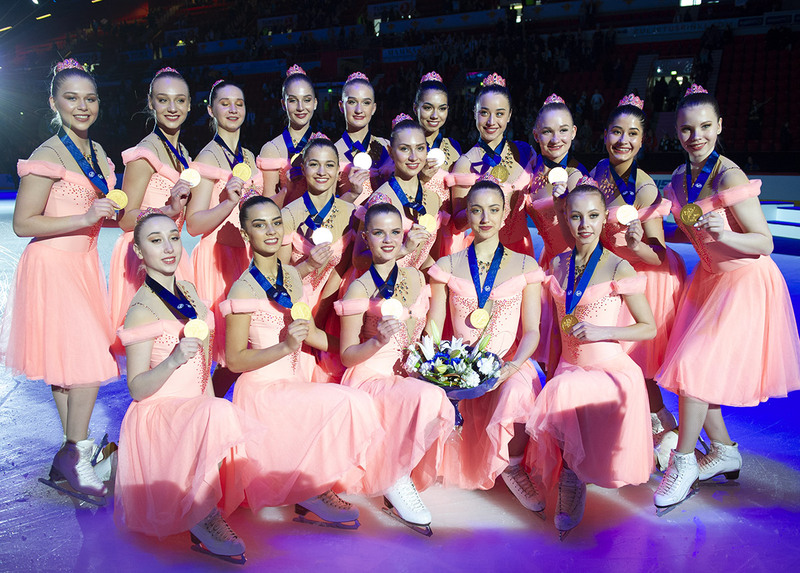 In the hearts of many fans in the audience, the Finnish champions had everything to take gold. But for a few hundredths, the first place slipped between their fingers. The MIU will have to settle for silver, as in 2015, when the Nexxice were crowned champions in their own country. Nexxice, let's talk about this team. The athletes from Burlington presented one of the most touching free programs of the evening. Entitled "The Widow," the skaters impressed the panel and the audience with their precision and emotional performance. But the competition also counted a lot of disappointments and bad surprises. Les Suprêmes, also representing Canada, started the World Championships with an unfortunate injury. One skater lacerated a muscle during the Friday night Event but skated the short program until the end. Pushed to their last limits, and despite all the upsets, Team Canada 2, was incredible on Saturday night and flied to the title "Alive" of Sia. The team presented a wonderful free program, without errors. This is a great example of courage and team spirit that deserves to be emphasized. Bad surprise also among the Rockettes, for whom everything had started well. After a very nice short program on Friday, the team from Helsinki lined up several falls during the free program, losing in the performance a piece of their costume on the ice. 3rd after the short program, the Finnish finished 5th of these World Championships. Goodbye Colorado Springs. We already looking forward to the 2018 edition in Stockholm, Sweden!